An Energy Masters Program volunteer caulks a window to prevent drafts and keep moisture from rotting the wood around the window. Volunteers in Arlington County and Alexandria are making a difference — one light bulb and toilet tank at a time. 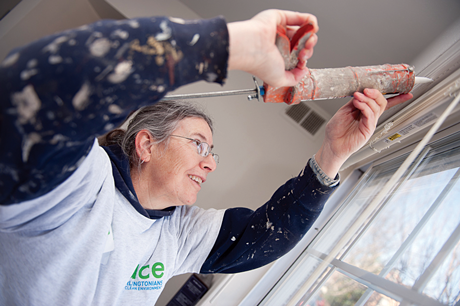 With more than 6,000 hours of volunteer service, these masters of energy efficiency are helping low-income families make their homes more comfortable while reducing their water and energy bills. The Energy Masters Program, funded by the Arlington County Community Development Fund, has made strides in improving energy efficiency for residents living in affordable housing units in Arlington County neighborhoods. The program is a collaboration between the Virginia Cooperative Extension Arlington County Office and two county nonprofit organizations — Arlingtonians for a Clean Environment and Arlington Thrive. The impetus for the program was a phone call to Abel from a board member of Arlington Thrive — a nonprofit organization that provides emergency assistance to low-income residents who are struggling to pay their rent or utility bills — regarding the costly utility bills of those living in affordable housing units. Arlington Thrive collaborated with Virginia Cooperative Extension and Arlingtonians for a Clean Environment on applying for a grant to fund the energy efficiency improvement program. Sealing gaps and holes around windows and door frames. Inserting foam gaskets behind light switch plates and outlet covers to prevent air leakage. Replacing incandescent light bulbs with compact fluorescent and LED bulbs. Installing low-flow faucet aerators and shower heads. Mounting a Toilet Tummy in toilet tanks, which reduces the amount of water used. Cleaning the coils under refrigerators to help improve cooling efficiency. Energy Masters Program volunteer Guillermo Ortiz got involved with the program and immediately recognized its value to the community. In addition to the retrofits in the apartments, the program now includes one-on-one home visits with residents and more education on steps they can take to improve their energy efficiency. Many of the volunteers also provide education in local elementary, middle, and high schools to teach students about energy efficiency and the importance of energy conservation. The program expanded to Alexandria in 2016 with support from a grant from the city. 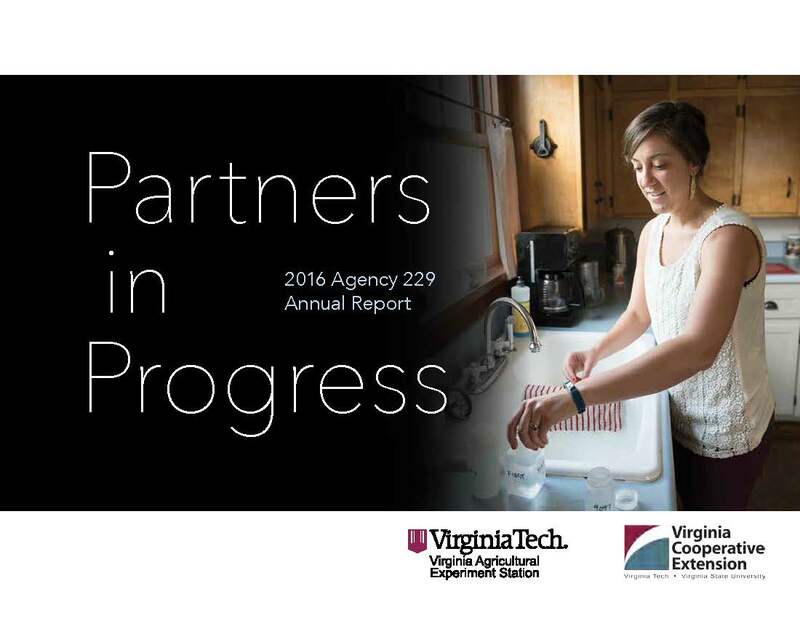 Volunteer teams conducted retrofits in 38 Alexandria apartments and are looking forward to doing many more. “Hopefully this program can expand to other parts of the state and ideally to other parts of the country as well,” Abel said. 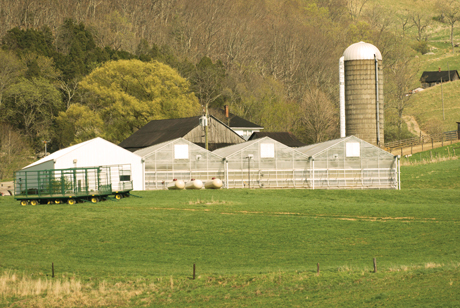 Dairy and poultry operations, greenhouse facilities, and flue-cured tobacco farms in Southside and Southwest Virginia are significant consumers of energy. Farmers are challenged with rising fuel and electricity expenses that increase the cost of production and reduce already tight operating margins. Fluctuations in energy costs make budgeting more difficult.